Drug developers are just beginning to come to grips with recent FDA over-sight reforms and how they will affect drug safety. But, it appears that industry and consumer advocates are not together on how well the overhaul will be able to prevent future drug safety scandals. In fact, there is sharp disagreement. Signed by President George Bush in September, the measures give the Food and Drug Administration more authority over and responsibility for the safety of prescription drugs after they hit the market. Although follow-up historically fell under the agency’s purview, as a practical matter the FDA focused on monitoring drug development and reviewing treatments for approval. But safety scares in recent years, such as the Vioxx saga, sparked closer scrutiny of both drug makers and the FDA, along with big changes. Despite a development process before FDA approval, which at best has proved to be seriously flawed, a drug’s side effects can go unnoticed or be deemed insignificant in small clinical populations. 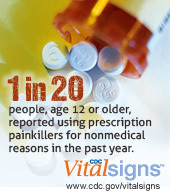 But once a drug hits the general market and is consumed by millions of persons, fatal risks become apparent. The FDA, simply put, is too dependent on the drug industry and that became most evident in recent years. Drug makers and the FDA have been criticized for acting too slowly to add warnings to drug labels or recall medicines in the wake of serious safety findings. Calls for reform go back to diet pill Fen-Phen’s removal from the market in 1997, but intensified after Merck & Co. recalled Vioxx because the drug’s use doubled patients’ heart-attack risk. When Merck agreed to pay $4.85 billion to settle Vioxx lawsuits, that told the story of how ineffective the FDA has been. British drug maker Glaxo-SmithKline is adding safety warnings to its diabetes drug Avandia because it raises cardiac risks. The bill calls for a broader range of safety-tracking resources, allowing drug makers and regulators to cull informa tion from hospitals, physician groups, and health insurers as well as the Centers for Disease Control. It projects the creation of a data pool of 25 million patients by 2010 and 100 million patients by 2012 for drugs on the market. While that sounds great, the logistics are still under development. How well this will work in the real world is subject to debate.